Twenty-seven years ago, shark scientist David Shiffman watched the first Shark Week air on the Discovery Channel—except he wasn&apos;t a shark scientist yet. He was a boy barely out of toddlerhood who lived far from the ocean and refused to eat fruits and vegetables. But every year he watched Shark Week, the longest-running cable television programming event in history. And he will watch it again this year, now as a Ph.D. student at the University of Miami who studies shark ecology and conservation and heads out weekly to tag sharks (though he still refuses to eat any fruits or vegetables). As he has done for the past several years, Shiffman will be tweeting to more than 18,000 followers throughout the event, often including links to blog posts and articles he&apos;s written about Shark Week—but the tweets and posts will not be glowing endorsements. Perhaps the most followed marine scientist on social media, Shiffman is wielding his influence this month against the very television blockbuster event that he grew up loving—biting the hand that fed him, you might say. "Shark Week is a major reason I became a marine biologist," Shiffman says. "Unquestionably there is some good science content that airs on the Discovery Channel and on Shark Week, but there&apos;s been a growing trend in recent years for promoting fear-mongering instead of wonder and promoting pseudoscience and nonsense instead of facts and scientific education." "There&apos;s a false perception by Discovery Channel leadership that people will only watch the show if it&apos;s exaggerated or made up. If we learned anything from shark week last year, it&apos;s that people will watch anything if you put shark in the title." And a large-scale feeding frenzy of fear and misinformation is as close to a deadly sin as it gets for a scientist who has made outreach a cornerstone of his academic career. Shiffman has married his evangelism for sharks to his evangelism for Twitter as a way for scientists to share their work with the public. In fact, he strategically chose his Twitter handle to encourage people to ask a question central to his research: WhySharksMatter. Shiffman&apos;s research investigates social media&apos;s effectiveness in informing or misinforming the public and how that translates into behavioral and policy changes. "We know that awareness and public opinion can affect conservation, and part of what he&apos;s trying to do is see how that tool can influence that for better or for worse," says Neil Hammerschlag, his graduate adviser and an assistant professor of marine science. "I&apos;m not aware of other people in the field doing that. As a relatively new tool, a lot of people shy away from social media, but there&apos;s nothing shy about what David does. He&apos;ll set something straight or say something he believes in even if it&apos;s not the most popular sentiment." In fact, Shiffman&apos;s undergraduate Duke roommate and fellow blogger, marine scientist Andrew David Thaler, calls Shiffman "a force of nature." Shiffman spends at least an hour—usually several—every day on social media, primarily Twitter and Facebook, sharing information, discovering new research that he passes on to colleagues and engaging with scientists, conservation advocates, and the general public on everything sharks. "He has somehow managed to integrate outreach and scientific research more tightly than anyone currently working in marine conservation today," Thaler says. Shiffman doesn&apos;t see any other way to do things. "Learning things about the world doesn&apos;t mean anything if we don&apos;t share it with people," he says. "The goal of conservation biology is to protect threatened and endangered species and ecosystems, which requires that non-scientists understand what the problem is and how changing their behavior can solve it." Shiffman says outreach is critical for the continued existence of the species he studies, but he also just loves sharing his passion. His crusade to convince Discovery to improve its Shark Week programming is born of that passion, both for sharks and for what he remembers Shark Week to be. Part of what Shiffman loves is still there, and he is quick to point to what Discovery gets right: He calls Alien Sharks, a documentary series about deep sea sharks, for example, "Discovery at its absolute best—educational and inspiring." 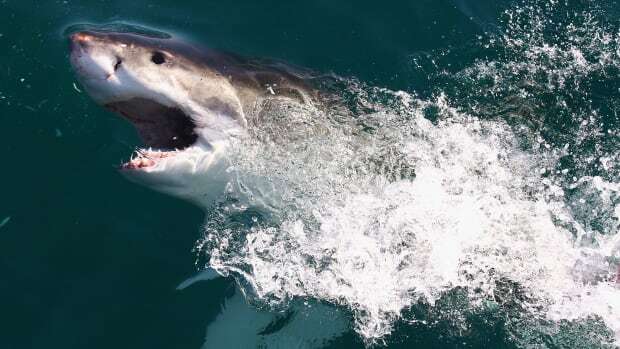 And he doesn’t expect every show to feature science, pointing to the Air Jaws series of great whites leaping out of the waters off South Africa as amazing behavior caught on film. But he says Discovery can do better, and he won&apos;t stop asking them to. "The megalodon nonsense in particular is offensive to me as a scientist and a science educator because it&apos;s Shark Week producers saying they don&apos;t think reality is interesting enough," Shiffman says. “In Megalodon: The Monster Shark That Lives, Discovery’s 2013 dramatized "documentary" about the prehistoric shark that went extinct 1.6 million years ago, actors portraying scientists suggest the ancient fish is still around. 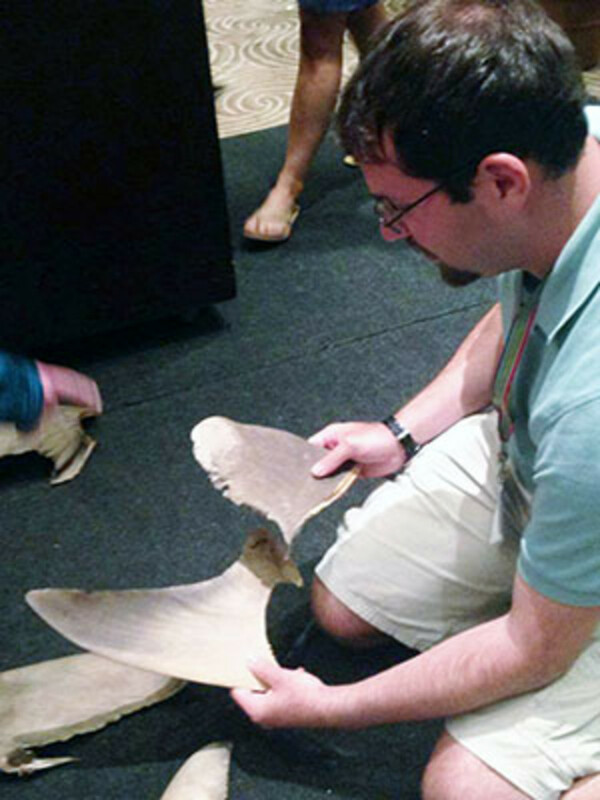 Shiffman says he spoke to more than 500 students last year—earning him Florida&apos;s Marine Science Educator of the Year award—and at least one student from every group asked whether megalodon is currently swimming the world&apos;s oceans. "I saw 150 talks this year on new and exciting shark research, and 130 of them would make good documentaries. Instead, Discovery is lying to people about whether a prehistoric shark is alive," Shiffman says. "The problem isn&apos;t that they are focusing on legends. 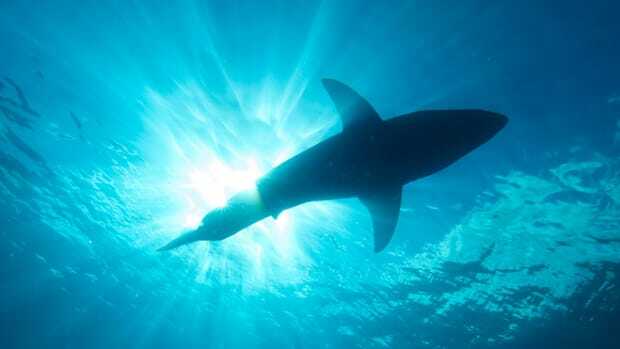 It would be totally appropriate for Shark Week to focus on marine animal legends if they were even remotely clear that&apos;s what they were doing." Shiffman has a similar problem with the Animal Planet&apos;s fake documentaries on mermaids&apos; existence, and this year&apos;s Shark Week does it again with Megalodon: The New Evidence. Shiffman also decries the fear-mongering in shows like Monster Hammerhead, featuring a shark nicknamed "Old Hitler," and the ecological irresponsibility of shows like Zombie Sharks. "Zombie Sharks features a known animal harasser messing with large, threatened sharks, and it accomplishes nothing to help with a greater understanding with sharks," Shiffman says. He is referring to Eli Martinez, a scuba diver with no scientific background who flips sharks over so they enter a state of paralysis called tonic immobility. Zombie Sharks claims to test whether great whites can enter tonic immobility to support the "hypothesis" that orcas use it in hunting them, but Shiffman points out that scientists have already known for years that orcas do this. Shark Week producers, meanwhile, defend the programming as diverse and conservation-minded. "In the entertainment industry, controversy and varied feedback often come with the territory," writes Mike Sorenson, vice president of development and production at the Discovery Channel, in an emailed statement. "We do our best to offer various types of programming—this way there is something for everyone." Among more than 160 programs in Shark Week&apos;s history, many “have significantly contributed to shark research, technology and conservation," Sorenson writes. "Every year we work with some of the most innovative and forward-thinking scientists and experts in the field." One such scientist, featured in this year&apos;s Spawn of Jaws 2: The Birthing, is Michael Domeier, president and executive director of the Marine Conservation Science Institute in Hawaii. "I don&apos;t think a lot of people know that behind the scenes the Discovery Channel helps a lot with research," Domeier says. "But they are a TV network and they&apos;re in the entertainment industry." "The Discovery Channel has made so much of their reputation off sharks that they have a responsibility to tell the truth about these animals." Domeier admits that he understands where Shiffman is coming from. Twenty years ago, he drafted and sent his own petition to the Discovery Channel asking them to use Shark Week as an opportunity to better educate the world about sharks. But "science is not always entertaining, and it&apos;s a challenge to put on hard-core science for an audience of 30 to 40 million," he says. 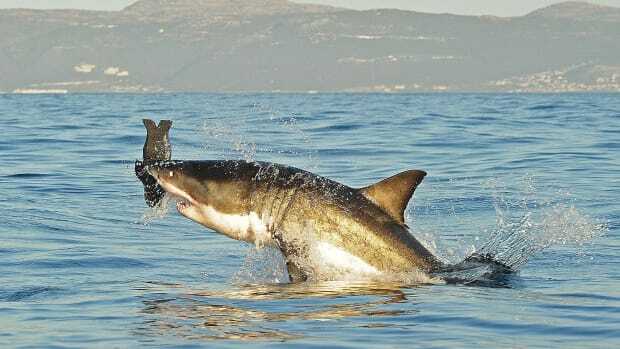 "If all researchers refused to work with Discovery for Shark Week, then matters would be worse. As a scientist, I think you have a responsibility to help fix the situation instead of complain about it." Still, Shiffman is not the only marine scientist to raise objections about Shark Week, but most do so quietly among themselves, he says. 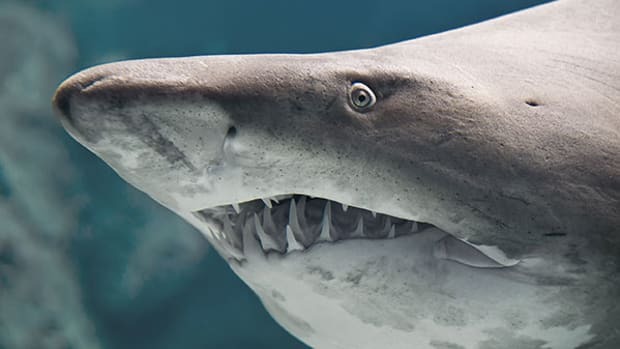 He hears their complaints at academic conferences and sees their disappointment during the week in his Facebook feed, where he is connected to more than half of the world&apos;s shark researchers. 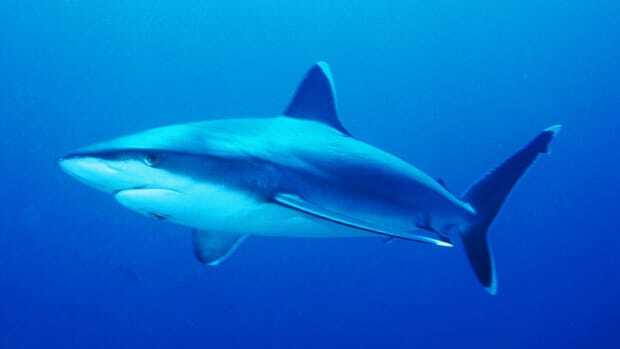 Christie Wilcox, a Ph.D. candidate in biology at the University of Hawaii-Manoa and another vocal critic of Shark Week, hears and sees it too. "I&apos;ve seen David change people&apos;s minds, and I think it&apos;s really valuable to have someone who&apos;s going to tell the public the truth, whether they like it or not," she says. "There are a lot of scientists who are mildly critical or heavily but quietly critical of Shark Week, but David is probably the loudest voice." He&apos;s the most persistent too, taking every opportunity to point out ways the Discovery Channel can improve—even when they reach out to him. "We are very familiar with David—in fact, he was instrumental in making Alien Sharks: Return to the Abyss possible this year and we are thankful for his contribution," the Discovery Channel spokesperson Laurie Goldberg writes in an email. "While we may sometimes disagree on the approach, the important thing is we use [Shark Week] as a platform to get the word out about sharks, which WhySharksMatter does very effectively, and together we continue to raise awareness for shark conservation and science." Shiffman’s loud persistence has its drawbacks too. "Sometimes," fellow scientist and blogger Thaler says, "he comes down too hard on the sea of misinformation, which can drive away potential audiences." Indeed, even among would-be allies, Shiffman has offended some advocacy organizations who perceive him as little better than the shark fishermen they abhor because he does not condemn all shark fishing and corrects their misinformation, such as the correct meaning of "finning." As loud as Shiffman tries to be, he is also aware of what he&apos;s up against in trying to influence the programming of a behemoth like the Discovery Channel, whose Shark Week viewership broke records last year with more than 53 million viewers, according to Nielsen data. "If every one of my 17,000 followers retweeted factual information that I shared, it would reach only a fraction of the audience that Shark Week&apos;s misinformation has reached," Shiffman says. "The Discovery Channel has made so much of their reputation off sharks that they have a responsibility to tell the truth about these animals. They are capable of making world-class quality shows about the science behind sharks, the natural history and behavior of sharks, and conservation of sharks in a way that informs people, makes people excited to watch, and doesn&apos;t scare or mislead." 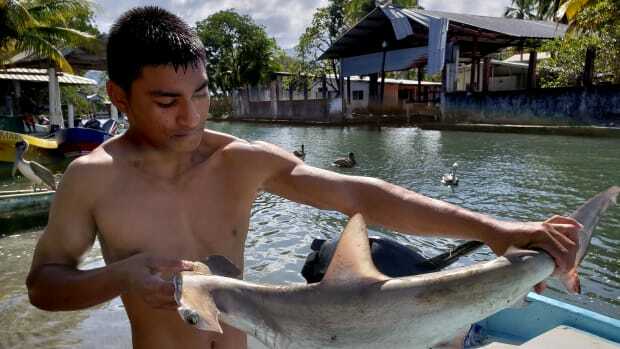 A conversation with marine biologist Gabriela Ochoa about th eimpacts of shark fishing in the La Mosquita region. How Do We Know Our Environmental Laws Are Working? 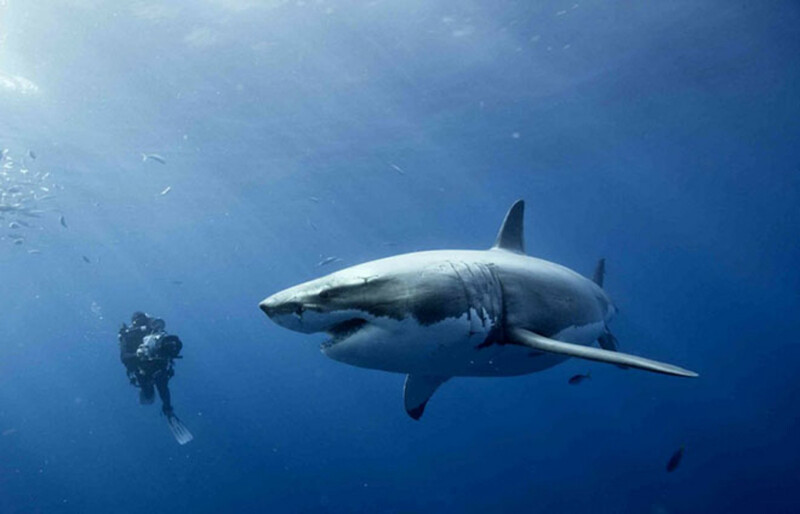 Ask a great white shark.